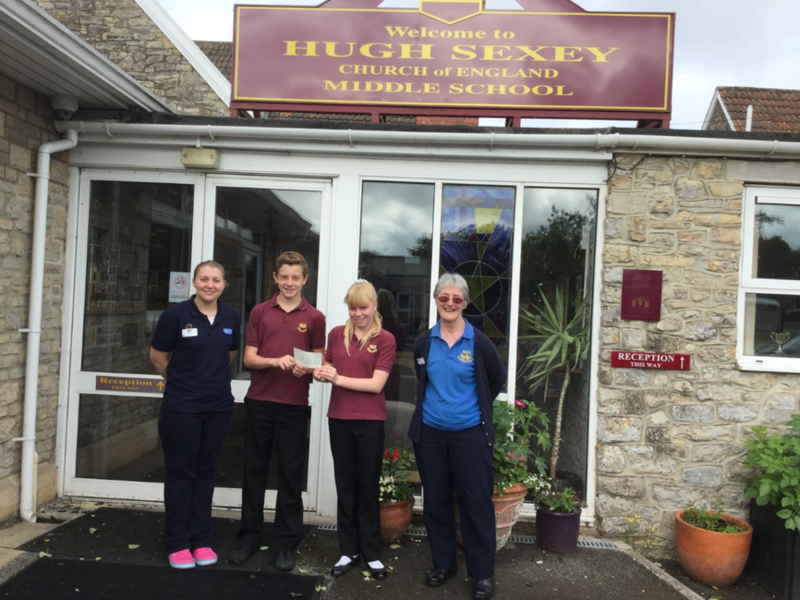 > Saxons House Captains Jack and Rosie presenting a cheque for £1212 to representatives of the Brent Knoll RSPCA. > The Saxon's charity fundraising week was at the end of May. We raised money through a sponsored 'morning mile', which students throughout the school took part in. We also held a whole school mufti day charging pupils £1 to wear their own clothes rather than school uniform. A sweet tombola helped boost the final amount of money raised. > We really enjoyed helping the RSPCA and as a House, we were very proud to support their work to the amount of £1212.